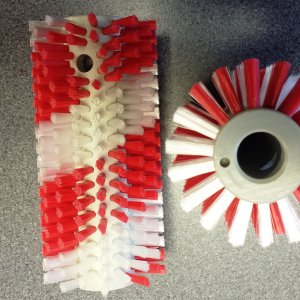 Spare parts available – contact us to order. Easy to set up, with full advice and clear instructions. 12 Month warranty. 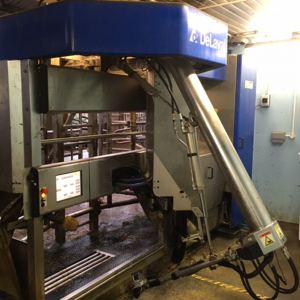 In hot weather, a large bucket of cold milk placed outside the pen and connected to a teat bar unit will allow calves continuous access to milk, and calves grow well on the cold ad lib system (acidified milk works best). However, when ambient temperatures drop below 10°C, it will be necessary to use a heating system to maintain adequate intakes. 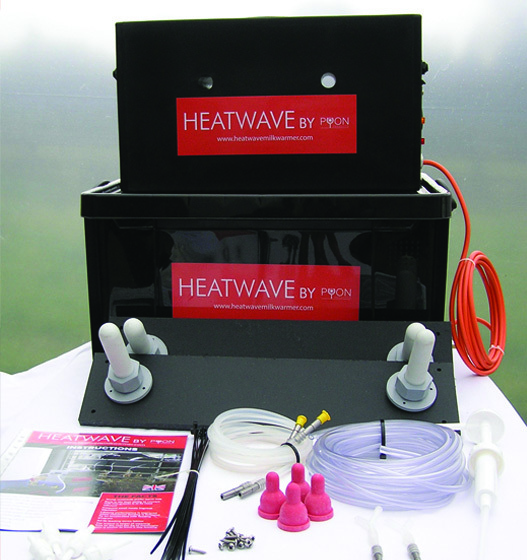 Heatwave Milk Warmer™ system sits outside the pen, next to the ad lib cold milk reservoir. 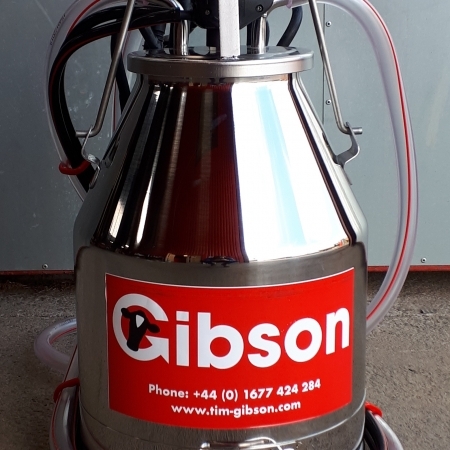 As the calf drinks, the cold milk is drawn through the Heatwave Milk Warmer™ and heated on demand, offering all the benefits nature intended. 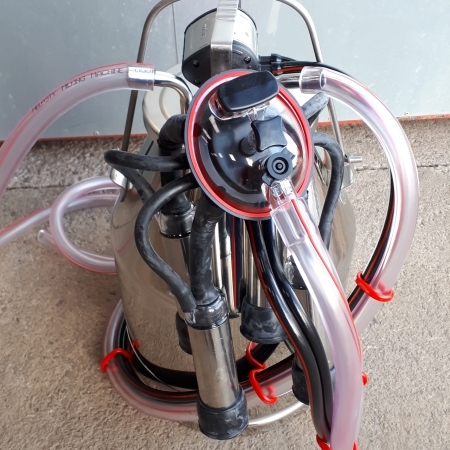 As the heatwave milk warmer heats the milk on demand, this means that it’s a lot more hygienic as the milk is stored cold and outside the pen. Calves kept in groups can exhibit natural behaviour, grooming, licking and socialising. Farm Assurance and Red Tractor schemes advise this. Research has shown calves grouped before weaning age will take larger quantities of dry feed, as the group tends to feed together and calves learn habits from each other. It has been estimated it takes 27 man hours to rear 40 calves on ad lib versus 47 hours on a once a day system. Ad lib is a once a day system available ALL day. 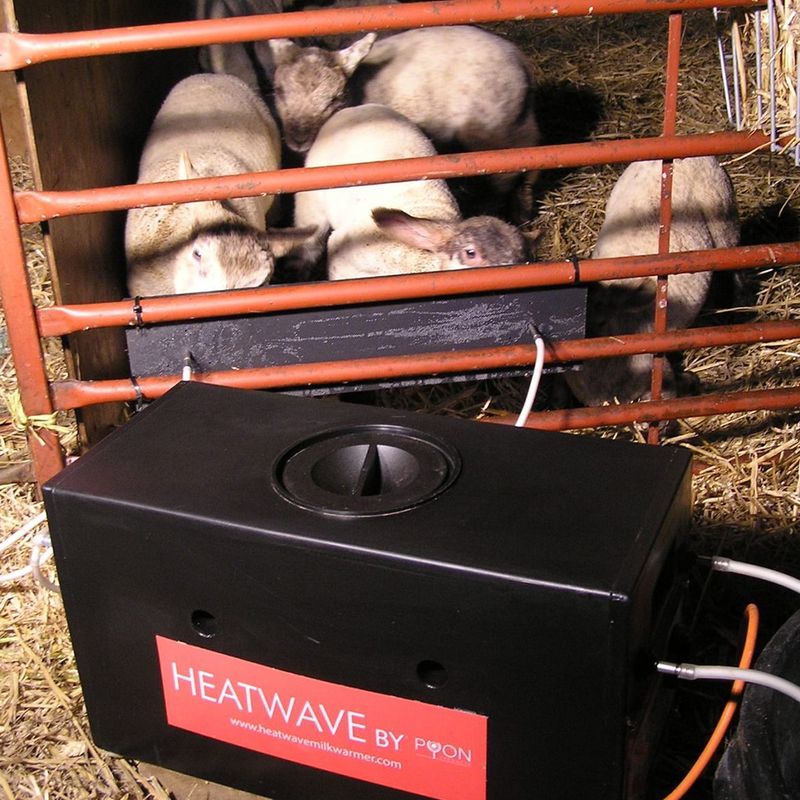 The heatwave milk warmer can rear up to 50 lambs or goat kids. When ewe lambs give birth to twins it is beneficial to remove one lamb and rear it artificially. 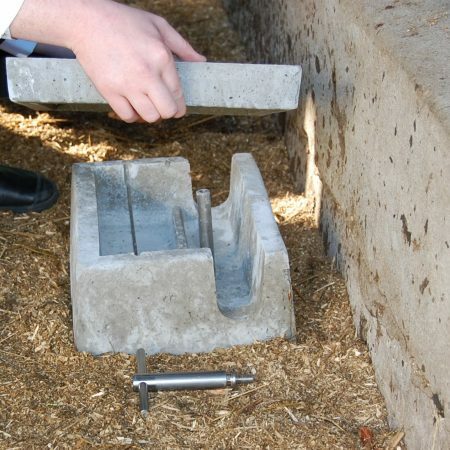 This allows the mother to grow and feed a single lamb. The second lamb can be reared on the Heatwave Milk Warmer™ system and this gives both lambs a better start. Triplets are frequently reared on this system. Growth rates often exceed those lambs fed on the ewe! 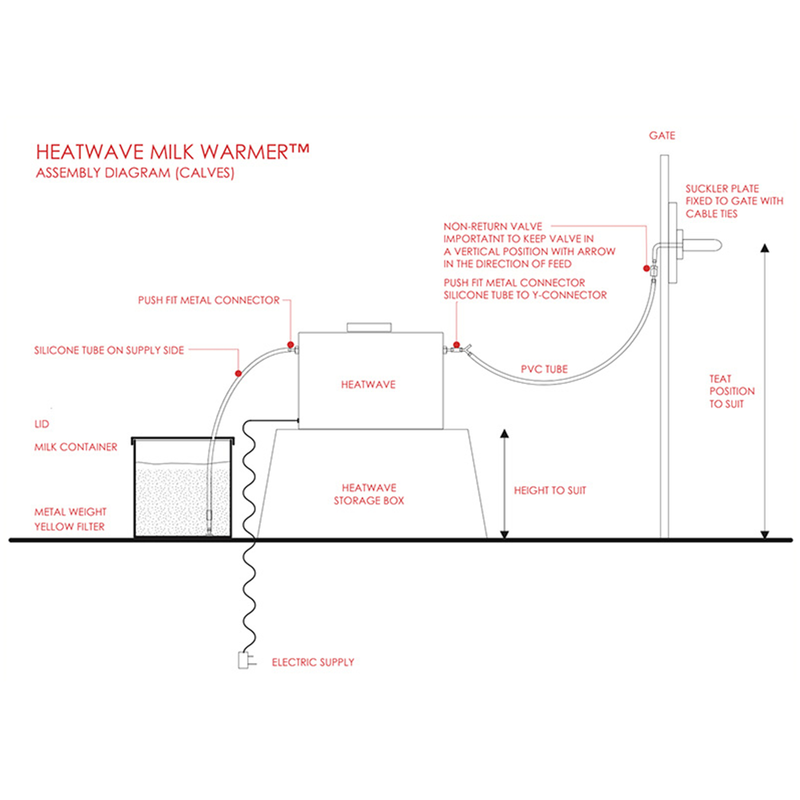 The Heatwave Milk Warmer™ system allows a large barrel of cold reconstituted milk powder, to be mixed up cold and fed on demand, via the milk warming system. Lambs drink an average of 1 litre/day on ad lib. 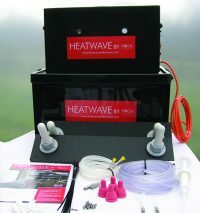 With 4 teats, the Heatwave Milk Warmer™ will feed up to 50 lambs. Use a lamb milk powder recommended for ad lib feeding. The thermostat in the Heatwave Milk Warmer™ is pre-set to heat water at approximately 42°C. Milk temperature should be 32-39°C depending on ambient temperature. Check before feeding. 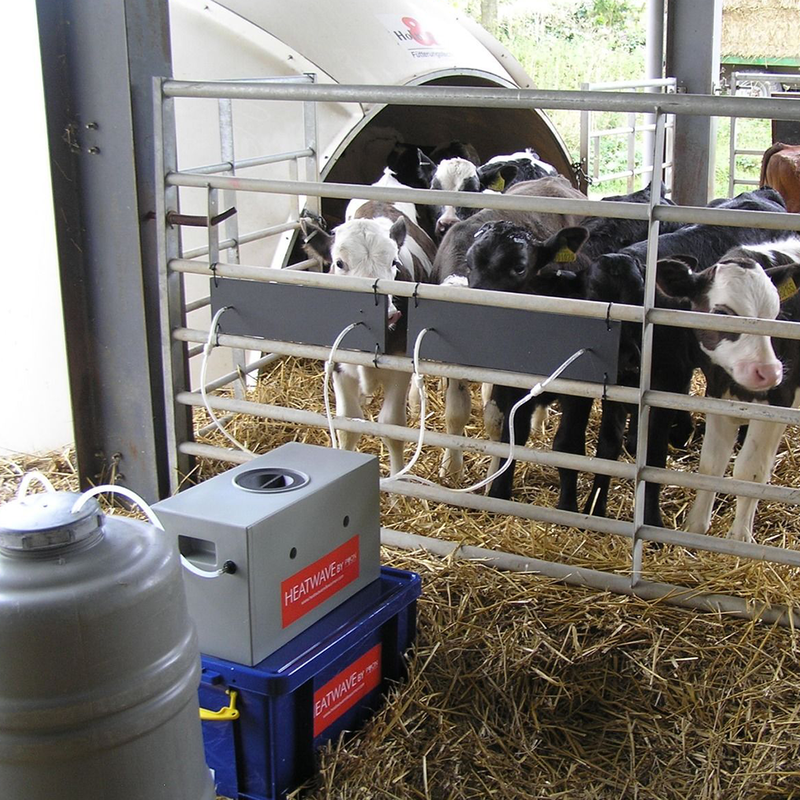 Optimal feeding temperature is 38°C/39°C for calves. 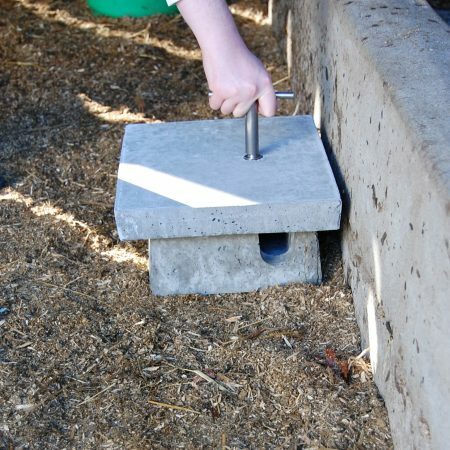 For lambs, train lambs at 39°C and once trained to use the heatwave milk warmer, feed milk at 20°C to avoid over consumption. 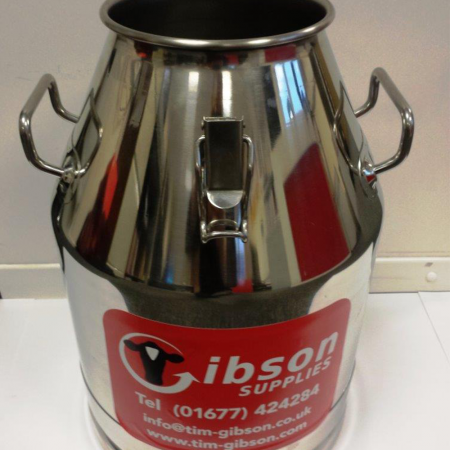 We can supply many parts of the Heatwave Milk Warmer. 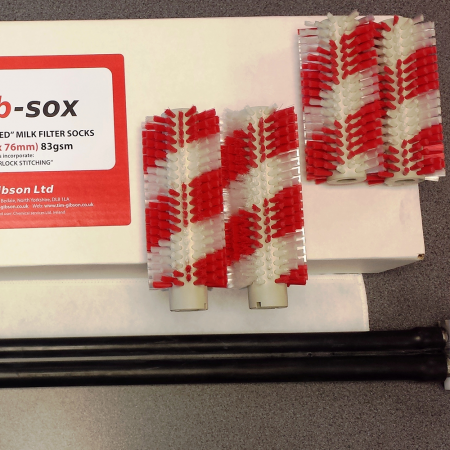 If you have some specific parts you need that you cannot find on the site, you can send an email to info@tim-gibson.co.uk with a description or picture of the part you need, or alternatively call the office on 01677 424 284 and we will try to help. Please note that we might not stock the specific part you need so delivery may take a few extra days.